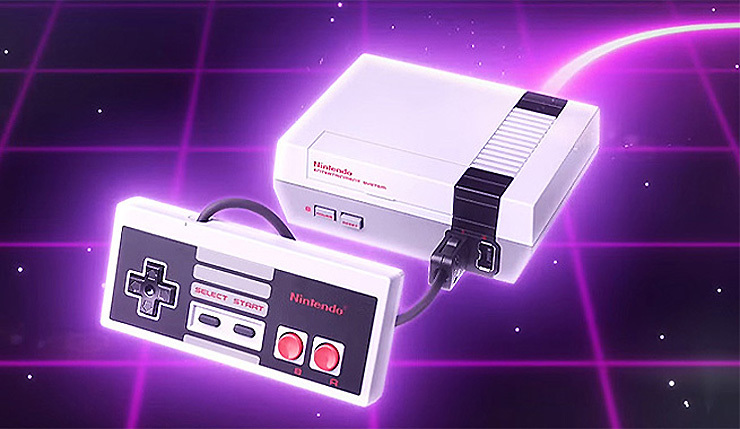 No word on how many NES Classics are being produced this time around, but Nintendo’s line about the machine being “available through the end of the year” would seem to indicate this is yet another limited run. Hopefully the machine will be more readily available on shelves this time around, but I wouldn’t dawdle if you really want to get one. This second run of NES Classics will feature the same lineup of 30 games as before, which includes Balloon Fight, Bubble Bobble, Castlevania, Castlevania II: Simon’s Quest, Donkey Kong, Donkey Kong Jr., Double Dragon II, Dr. Mario, Excitebike, Final Fantasy, Galaga, Ghosts ‘n Goblins, Gradius, Ice Climber, Kid Icarus, Kirby’s Adventure, Mario Bros., Mega Man 2, Metroid, Ninja Gaiden, Pac-Man, Punch-Out! !, StarTropics, Super C, Super Mario Bros., Super Mario Bros. 2, Super Mario Bros. 3, The Legend of Zelda, Zelda II: The Adventures of Link, and Tecmo Bowl. It’s unknown if anything else about the NES Classic edition will change. Presumably, the system will remain mostly the same, although, hopefully, they at least include longer cords for the controllers. Will you be trying to grab a NES Classic Edition when it hits shelves again on June 29? Or has your excitement for the machined waned?